I've been thinking that we need to do something a little different, to perhaps encourage more interest in the challenges, so I'm going to open this topic up. Out of the box is the theme, and one that I think everyone can take part in, from the person with a iPhone camera to someone with high end camera gear. The photo should literally be something that is being taken and/or coming out of a box, such as a new gadget, a pet, whatever. The rules are simple, no heavy duty editing, such as HDR. The photo must be taken by you, during the period in which the challenge is running. Entries will be accepted from today until the 4th of February at 12:00AM PST. BTW, your photo wont be judged based on what comes out of the box, but rather on creativity. The samples aren't the best example, but that do give you an idea of what I'm looking for. I am SO going to win this contest. 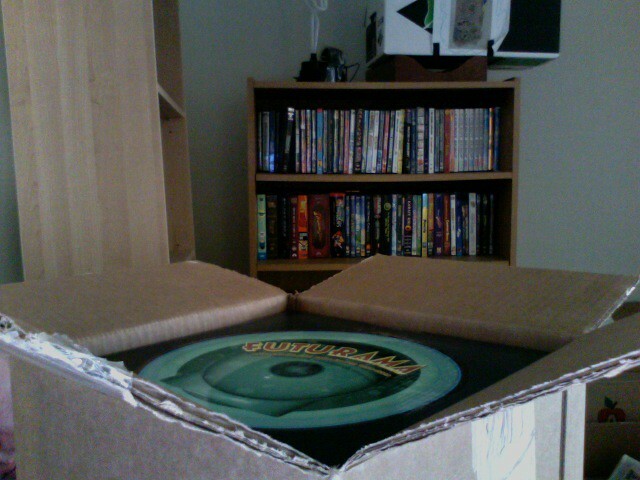 Of course, my Lost box set unboxing (coolest unboxing ever, amirite?) was in December. Now I'll just have to buy something else. Thanks. Ohhh, might just fall in the time frame for our next company purchases... I wonder if I can get the local Apple store employee's to do something outside the box! You see what I did there! Gee, evan, don't be a spoilsport. I'll be buying something! Here is my entry. Don't have a real camera, so I had to settle with photo booth. What the hey is that? 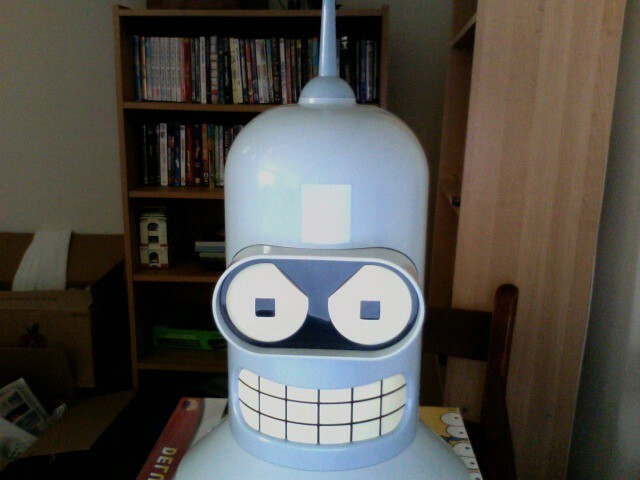 Futurama dvd collection in a really big Bender head. Normally I'd say one photo (for judging is the limit), but in this case I think we can allow a series of unboxing images. 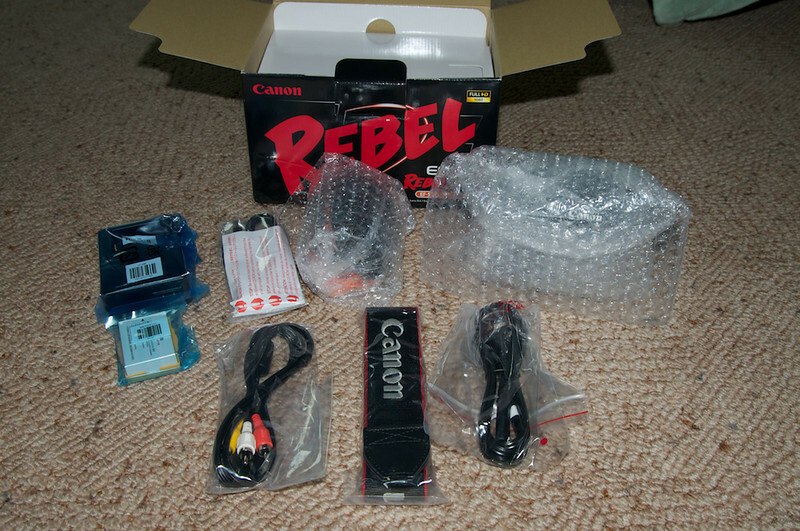 Ok, not the genuine original unpacking process (I bought the lens last year). 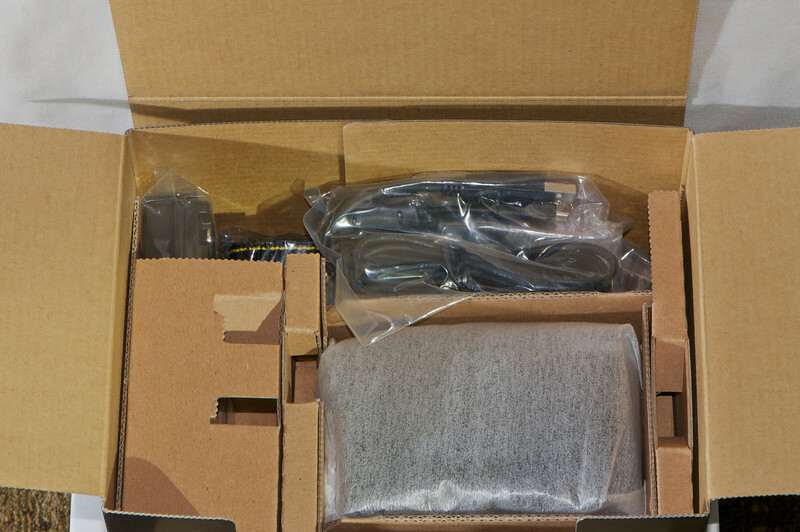 Instead I tried to be a little bit creative and packed my flash at the bottom of the box. Only a few days left, so get your submissions in! Not much time left. I'm a bit surprised/sad that there are only two entries. At least I'll have a 50% chance if no one else submits a picture. I can understand the limited entries, you cannot expect people to buy new stuff just for a photo challenge! It is too bad, but hopefully the next challenge draws more people in. GSpotter: Your idea was original, and creative, I love it, clearly the winner. Foj: I like your images, and they do fit the nature of the challenge. Good ideas, would have been in the running for sure. Real out of the box thinking actually. Sorry I didn't get a shot in here. I had two ideas: (1) hooking up my new NEC P221W monitor to a computer and running it while half-outside its box (somewhat like GSpotter's pic, but far less interesting in subject and lighting: I think what makes his photo extra interesting is himself looking into the box! ), or (2) a Colgate toothpaste box I bough last week, which claims to be "Original" but also "New and improved" (in French, but never mind). Idea (1) failed when I had to return the monitor because of a flaw, and (2) didn't quite materialise after seeing how good GSpotter's entry was. 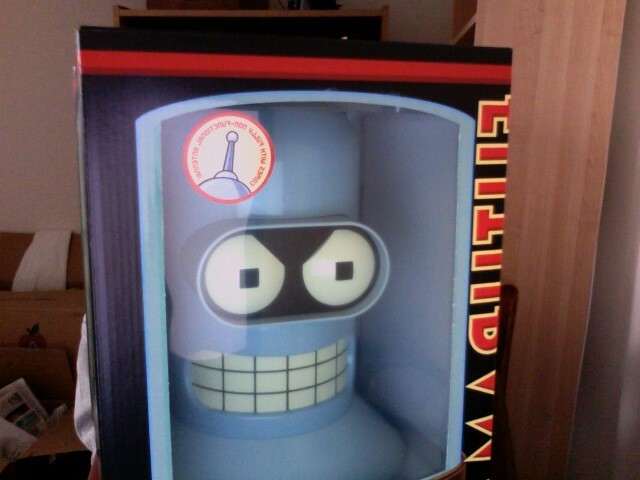 I mean, a toothpaste box. I like kdcny's idea, and Foj is quite crazy. What on earth is that thing? Must enter the next competition. I didn't manage to make this one either. Kinda a hard month for me really. Not used to full time school and the job again. Sorry also about my own lack of entry. I really did not buy anything much in January, after the Xmas rush,...but if I had thought a bit more creatively I maybe could have interpreted the theme in an interesting way. Anyway, sorry about that PB.